Salomon’s new S/Max 130 boot is lighter than just about any other race orientated boot, using a carbon fibre frame for power and reinforcement, wrapped by a thinner walled conventional shell. The snowfeel is outstanding and the carbon wrap means that the boot is powerful when you lay your ski onto its edge. It shares race room DNA with S/Race Rush ski and they’re both at their best on hardpack or cutting deep trenches in corduroy groomed snow. Apex’s XP Antero uses a snowboard type innerboot for warmth and comfort, this is then wrapped in a super stiff carbon fibre skeleton. You can walk to the lifts in the snowboard boot, snug it tight with the 20 point boa cable closure and then step into the open chassis exo skeleton and let rip from the top of the lift. 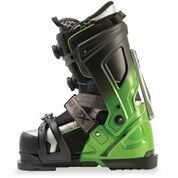 Apex goes a long way to ending the eternal problem of ski boot design – how can I have high performance and convenience in the same package. In skis Rossignol have completely re designed their Hero series with a new LCT metal rib running vertically along the ski, dividing the big toe and little toe edges. 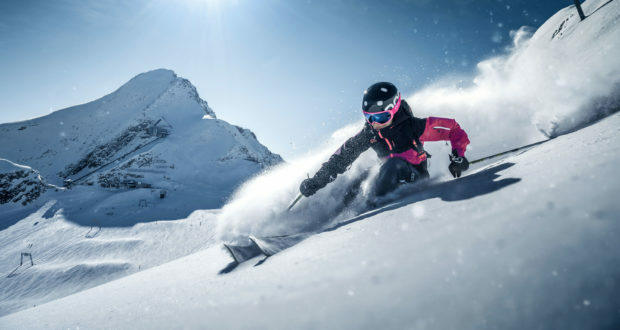 The rib keeps the ski in contact with the snow for longer and means that when the ski is flexed it bends into a consistent, smooth reverse camber. Another winner in the groomed-to-perfection category is K2s Turbo charger. With its big mountain ski heritage it’s ideal for a strong skier who wants to make S shaped arcs all day. Post brexit we will see a different skiing landscape and it’s too still too early to make too many predictions. If we see barriers going up then prices will rise so perhaps this might be the year to invest in new ski equipment.